There is a disconnect that happens in baseball from time to time. It is a team sport that celebrates the individual. The way to measure wins and loss and the essential point of the game is to score runs or drive in runs. And yet people measuring player’s individual value often ignore runs scored and RBI in the process. A great individual accomplishment can sometimes be overshadowed or ignored because of the team’s performance. A case in point is Chase Utley, hardly an unknown player, but someone whose individual achievement in the 2009 World Series should have put him in the pantheon of greats. Instead, it has mainly been forgotten. The Phillies were the defending World Champions in 2009. And despite some subpar performances from their pitchers, especially the once dominant and now explosive Brad Lidge, they won the NL East again. Then after dramatic if strange post season series against Colorado and Los Angeles, were back in the World Series. They faced the Yankees, in the World Series for the first time since 2003. In Game 1 of the World Series, Chase Utley homered twice and mid season pick up Cliff Lee went the distance, giving the Phillies the early lead. Then the Yankees won three straight wild games. Despite another homer by Utley in Game 4, the Phillies found themselves entering Game 5 with the season on the line. Cliff Lee once again took the hill for Philadelphia. A. J. Burnett, coming off of surprise Game 2 win, started for New York. An Alex Rodriguez double in the first game put Philadelphia in an early 1-0 hole. In the bottom of the first, Chase Utley took care of that. His no out, 3 run first inning homer gave the Phillies a 3-1 advantage. Now he had 4 homers over the first 5 games. Utley walked to lead off the third, sparking a three run rally to chase Burnett. In the 7th Utley faced Yankee reliever Phil Coke. On a 3-2 pitch, Utley launched a ball into the right centerfield seats. Utley had matched the highest post season series home run total. Five in a single World Series had only been accomplished by Reggie Jackson. Utley’s feat should have become the stuff of legends. The Phillies would hang on and win Game 5 as Ryan Madson, NOT Brad Lidge, finished the game up, 8-6. In Yankee Stadium for Game 6, Utley would go hitless. The one time that he reached base on a walk, he was driven home by Ryan Howard’s homer. The Yankees would go on to win the game, 7-3 and take the series in 6. In the end, Utley’s posted an OPS of 1.448 in the World Series with his record tying 5 homers. But nobody remembers great performances when the team loses. Instead of being a great moment in World Series history, Utley’s home run barrage has become a foot note. Utley has become more famous for breaking Ruben Tejada’s leg in the 2015 Division Series than any World Series heroism. But this author recognizes his greatness. That’s why I am declaring him the Sully Baseball Unsung Hero of November 2. 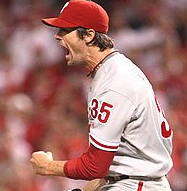 With Brad Lidge leaving Philadelphia for the Nationals today, I realized that exactly 1/2 of the pitchers who have clinched a World Series for the Phillies switched teams. 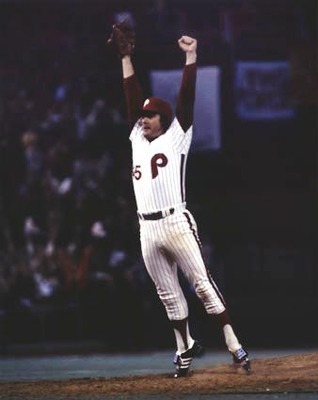 The late Tug McGraw was the other one. I asked the Phillies fans to pay to pay their respects to Lidge today. 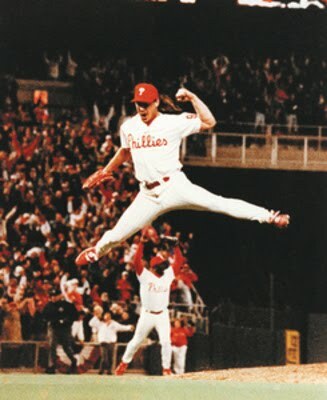 But later I realized that the fraternity of Phillies pitchers to clinch a post season series is actually very very small. 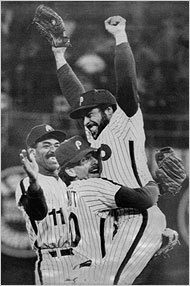 Despite being a member of the National League since the 19th century, the Phillies went from 1903, the year of the first World Series, to 1979, a World Series I remember watching, without a single post season series victory. They lost the 1915 and 1950 World Series. They lost the 1976, 1977 and 1978 NLCS. And less said about 1964 the better. In fact if the Houston Astros got another hit in the 9th inning of Game 4 of the 1980 NLCS, their searched for post season victory would have been prolonged. So like I did for The Red Sox, I decided to honor each and every Phillies pitcher who threw the last pitch of a post season series. 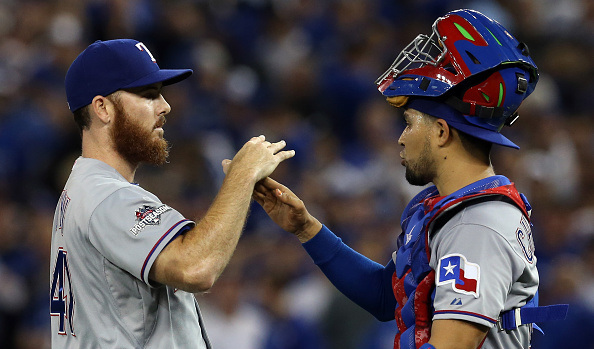 Here are the pitchers, the game they pitched, and how was the last out recorded. 2 innings of relief of five pitchers for the win. LAST OUT: Enos Cabell flew out to center fielder Garry Maddox. 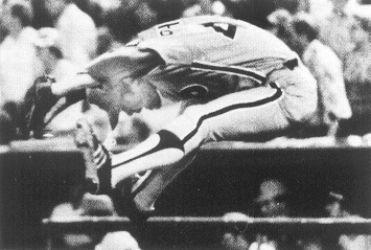 Two innings of relief to save the game for starter Steve Carlton. 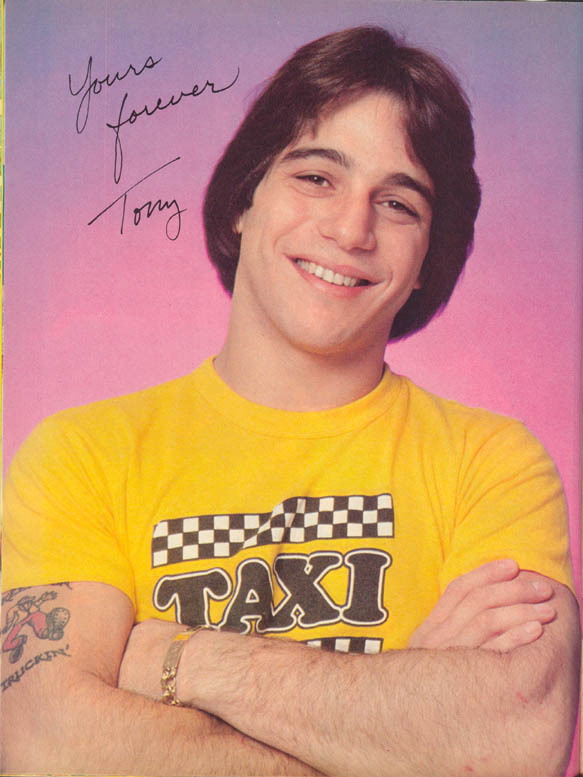 LAST OUT: Strikeout of Willie Wilson. 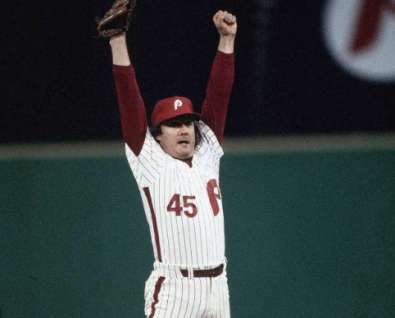 1 2/3 innings of relief for starter Steve Carlton and reliever Ron Reed. LAST OUT: Strikeout of Bill Russell. One inning of relief and the save for starter Tommy Greene and reliever David West. LAST OUT: Strikeout of Bill Pecota. 1 inning of relief for starter Joe Blanton and reliever Ryan Madson. LAST OUT: Jason Kendall grounded to Jimmy Rollins at shortstop who threw to Ryan Howard at first for the out. 1 inning of relief for starter Cole Hamels and reliever Ryan Madson. LAST OUT: Nomar Garciaparra popped up foul to catcher Carlos Ruiz for the out. 1 inning of relief for starter Cole Hamels and relievers Ryan Madson and J.C. Romero. LAST OUT: Strikeout of Eric Hinske. 1/3 of an inning for the save in relief of Cliff Lee, Ryan Madson and Scott Eyre. 1 inning of relief for pitchers Cole Hamels, J. A. Happ, Chad Durbin, Chan Ho Park and Ryan Madson. LAST OUT: Ronnie Belliard flies out to center fielder Shane Victorino. Complete Game five hit shutout. LAST OUT: Strikeout of Scott Rolen. So there you have it, Phillies fans. All 10 Post Season Series that the Phillies won are listed here. And how about some more respect for Brad Lidge? He clinched HALF of them! I thought for sure they would have added to this list in 2011. The window is slowly closing on this squad. But remember, they won’t have Harry Kalas call it. Let’s savor his 2008 call.